Earlier this year, SpringboardAuto released results of a survey that determined consumers want to finance their vehicle online and doing so significantly improves their overall car buying experience and perception of the dealership where they take delivery. And last week, SpringboardAuto shared a case study that aligned with those survey findings around the emerging consumer demand for online auto financing with real world, in-dealership success stories based on consumer preferences for online, ahead-of-time financing. “When we looked at the data, it was clear to us that many customers prefer to handle their own financing online before visiting the dealership,” said Jim Landy, chief executive officer and founder of SpringboardAuto. “So, we weren’t surprised to hear our dealer partners come forward with success stories about the experience. “What was a surprise — and delight — was the extent to which online financing has the potential to strengthen the lifetime value of the customer to the dealer,” Landy continued. In each case, customers were happier with the deal and the dealership. 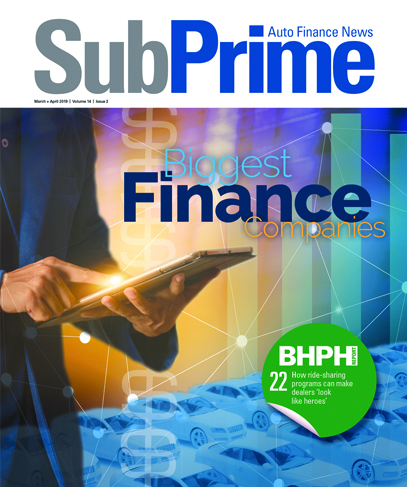 The case study, “How Car Buyer Happiness with Online Car Loans Increases Happiness with Dealership Experience,” delves into three recent customer success stories, ranging from a subprime used vehicle purchase to a new car luxury transaction. In all cases, the speed, convenience and resulting satisfaction created the basis for an ongoing relationship. In each case, the dealer enjoyed the resulting glow of positive reviews and the likelihood of increased service retention. Editor’s note: Landy is on tap to be a guest of a future episode of the Auto Remarketing Podcast. Past episodes are available here.